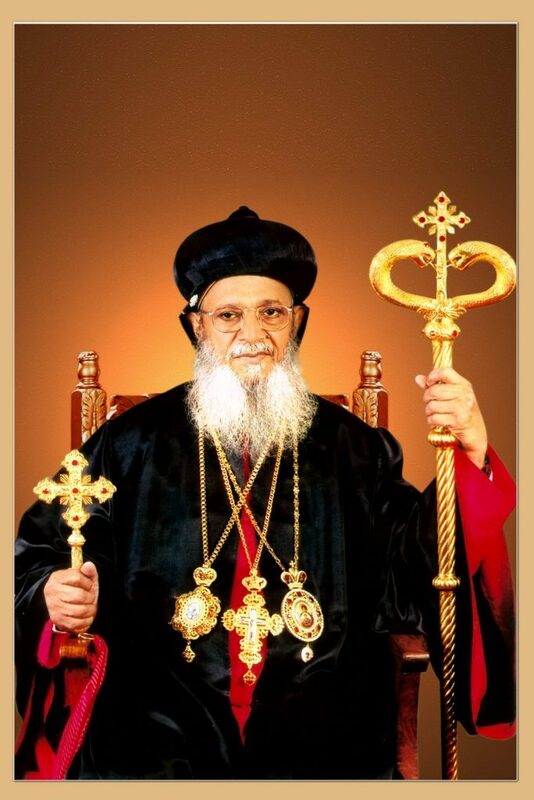 Catholicos Aboon Mor Baselios Thomas I, the spiritual head of the Syrian Christians of India, was born in the Cheruvillil family of Vadayambadi, Puthenkuriz to Mathai and Kunjamma on 22nd July 1929. His priestly formation was under the guidance of Mor Philoxenos Paulose (late Catholicos Mor Baselios Paulose II) who ordained him ‘Korooyo’ in 1952 and ‘Shamshono’at Kadamattom Church in 1957. In August 1958, C M Thomas was ordained ‘Kassisso’ (full priest) by Mor Yulius Elias at the Majanikkara Dayro. In 1959 he was appointed as the vicar of St.Peter’s church, Puthencuriz. Later he served the churches at Vellathooval, Keezhumuri, Fort Cochin, Valamboor, Calcutta and Thrissur. For a period of seven years from 1967, he was the organizing secretary of Kolenchery Medical Mission Hospital. He also served as the Chief organizer of the North Indian mission at Bhilai in 1970’s and as the secretary of the ‘Pourasthaya Suvishesha Samajam’ in 1974. He was well known as a great revivalist preacher and was also recognized as an excellent organizer. On 27th December 2000, His Excellency was chosen as the Catholicos-designate by the Holy Episcopal Synod. The Church delegates meeting held at Puthencuriz on the same day, unanimously approved this decision. 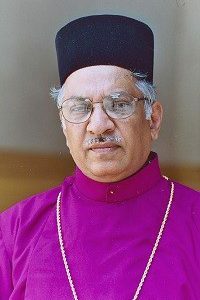 H.H the Patriarch, however, waited for two more years in expectation of a peaceful settlement to the longstanding dispute between the two factions of Malankara Church. But as it became clearer that the chances for reconciliation is remote because of the insincerity on the part of the opposite faction; a crucial convention was convened at Puthencuriz, Kerala on 6th July 2002 in which delegates from all the parishes participated and they approved a new constitution for the effective administration of the Indian Church, with the consent of the supreme head, the Patriarch of Antioch & all the East. H.E. 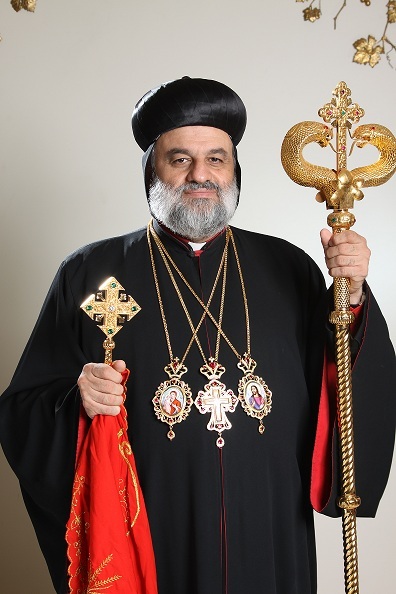 Mor Dionysius Thomas was elected as the Catholicos and the Metropolitan Trustee of the Jacobite Syrian Christian Church at this historic Church Association. The election was later ratified by the Holy Episcopal Synod of the Universal Syrian Orthodox Church on 22nd July 2002. His Holiness the Patriarch of Antioch and all the East Mor Ignatius Zakka I Iwas ordained Very Rev. Ramban Yeldho Pathickal as the Archbishop and Patriarchal Vicar of the Malankara Archdiocese in North America at the solemn function held at the St.Peter and St.Paul Cathedral in the Monastery of St.Aphrem the Syrian, at Ma’arrat Seydnaya, Damascus, Syria. The new Metropolitan was entrusted with the title ‘TITUS’ during the consecration ceremony. His Grace will henceforth known by name ‘Mor Titus Yeldho Pathickal ‘. 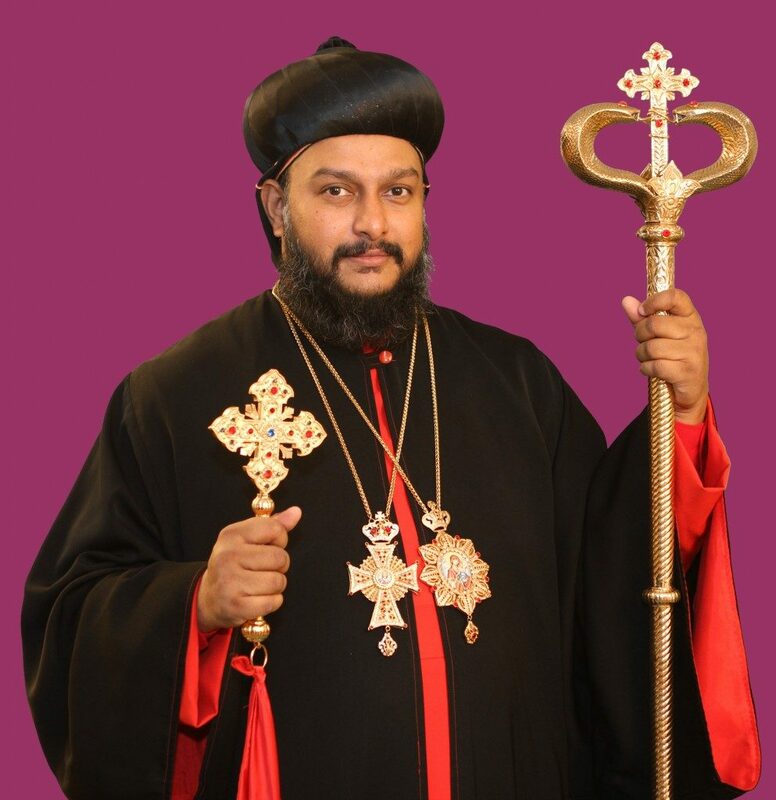 Archbishops from different countries were present to grace the occasion: Mar Gregorios Joseph (Kochi), the synod secretary of Malankara Syrian Orthodox Church, Mar Julius Kuriakose- Secretary to His Holiness the Patriarch, H.G. Mor Osthathius Matharohom (Syria), Mor Severius Saka Musal (Iraq), Mor Silvanos Pathros (Homs), Mor Athanasius Elia Bahi (Patriarchal Assistant), Mor Cyril Aprem (America). Also were present the 1st secretary of the Indian Embassy in Damascus Mr.R.C.Manchanda, monks, nuns, friends and family members. At the end of the Holy ceremony, the newly consecrated Archbishop thanked His Holiness the Patriarch Mor Ignatius Zakka I Iwas and all those who were present. He pledged his fidelity to the church and promised to be faithful in imparting the teachings of the church to the faithful. Very Rev.Bobby Joseph Cor-episcopos was born on November, 1945 to late Rev.Fr.K.K.Joseph and Aleyamma, Kavugumpallil house, Kothamangalam. He have 4 brothers and 2 sisters.After his masters degree he became the Secretary to the Then Diocesan Metropolitan .During this time period he worked as the youth coordinator of the diocese on April 10, 1972 he got married to Ramanie d/o late.Mr.V.T.Mathew and Thankamma,Edathumpadickal(Vadavarayil),Kollad.He went to Zambia and later to Nigeria where he worked as a teacher.In Nigeria he started the Jacobite church in 1982. In 1984 BobbyAchan migrated to U.S.A and started the 1 st Jacobite Church in Denver,Colarado.Later he moved to Atlanta and started the first Jacobite Church. Initially the congrgation was meeting in homes and later moved to a rental facility.By april 2005 St.Mary's Atlanta was able to buy a property of its own and in september was moved to the new facility at 1142 RockbridgeRd,Stonemountain GA. Very Rev. Joseph C. Joseph Corepiscopa was born January 13, 1952, son of the late Paulose and Mariamma Joseph, a very religious Syrian Orthodox Christian family in Vazhamutton of Pathanamthitta District of South India. Joseph was the middle child of seven, five sisters and one brother. He was baptized at St. Ignatius Dayara in Manjanikkara, India. His parentsdedicated him to His Holiness Mar Ignatius Elias the III’s final resting place (“Kabarin Adeema Vetchu”). Fr. Joseph expressed much interest in the church and participated in many churchfunctions including teaching Sunday school and being actively involved in various church programs. He also was the altar boy at his home parish in Kerala and the church in New Delhi,at which time he continued his theological studies. Fr. Joseph married Mariamma in 1975 and migrated to the United States in 1976. When Fr. Joseph arrived in Texas, he realized there was a need for an established place of worship for Syrian Orthodox Christians. 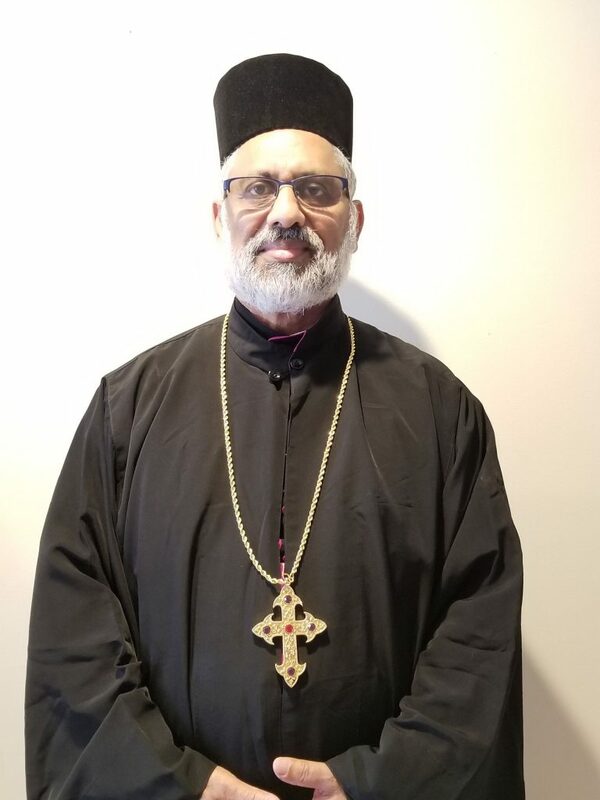 The Lord’s calling, fulfillment of a childhood dream, therequest of Father John Jacob (presently H.G Yohannon Mor Philexinos Bishop of Malabar) and the encouragement of the people in Dallas and Houston, Fr. Joseph decided that he wanted to serve the Lord. By grace of God and the blessings of His Eminence Mor Athanasius Yesue Samuel, at the age of 26, Fr. Joseph was ordained as a Priest on March 12, 1978 in Dallas, Texas. He organized and incorporated St. Ignatius in Dallas, Texas and St. Mary’s in Houston, Texas, serving as the first priest and vicar at both churches. Due to his employment transfer to Atlanta, Georgia and the need for a Syrian Orthodox Church in Metro Atlanta, he was able to organize St. Mary’s Syrian Orthodox Church in Austell, Georgia in 1987 (presently Winder, Georgia). In the meantime, he assisted in formally organizing and establishing the St. George Syrian Orthodox Church in Chicago, Illinois and supported the eager people of Charlotte, North Carolina in the first Holy Qurbono and assiting in the ground work to St. George, Charlotte. On May 17, 2003, St. Mary's Syrian Orthodox Church celebrated Fr. Joseph's 25th Ordination Silver Jubilee. During the Holy Qurbana, His Beatitude Baselius Thomas I Catholicose of the East, His Eminence Dr. Yuhannon Mar Philexenos, and His Eminence Mathews Mar Ivanios blessed a golden cross chain, and His Beatitude presented the chain to Fr. Joseph for his dedicated service to the Syrian Orthodox Archdiocese in North America for the past 25 years. On April 29, 2006, Fr. Joseph was elevated to Corepiscopo by His Eminence Yeldho Mor Titus, the Archbishop of North America. In addition to serving as the Vicar of St. Ignatius Dallas, St. Mary’s Houston, St. Mary’s Winder, St. Mary’s Dallas, Very Rev. Joseph Corepiscopa dedicated his time to the Archdiocese in the capacity as Archdiocese Council Member (two terms), Vice President of the Association for Protection of Antiochean True Faith, Vice Present of the Sunday School Association, Vice President of the St. Mary’s Women’s League, and currently is appointed as the Archdiocesan Clergy Secretary. Very Rev. Joseph Corepiscopa and Mariamma Joseph have 3 children Janice and her husband Rev. Fr. Bijo Mathew (New Jersey), Joel and his wife Ancy (Georgia) and Jill and her husband Joshua (Maryland). They have 5 grandchildren, Jacob, Joshua, Julia, Bella and Nathaniel. They currently reside in Smyrna Georgia their home for over 25 years. Rev. Fr. Mathai Varkey Puthukkunnathu, s/o late Mr. Chacko Varkey Puthukkunnathu and Mrs. Mariam Varkey who are originally from Nagancherry, Thrikariyoor Village, Kothamangalam, was born on May 10, 1961 in Uppumannu, of Kizhakkencherry village, Palakkad District, Kerala State, India. After completing high school education at C.V. M. High School, Vandazhy, Palakkad, he joined the Syrian Orthodox Theological Seminary at Malelcruz Dayara, Puthencruz. After successfully completing the required courses and theological studies, he was ordained a Deacon on the 13th of March 1980 by the late lamented His Grace Gheevarghese Mor Gregorios Metropolitan (Perumpilly Thirumeni of Blessed Memory) of the Diocese of Cochin. From there Dn. Mathai moved on to secular studies in a private college in Muvattupuzha for Pre Degree, in Maharajas College, Ernakulam for Bachelor of Arts (B.A.) and in Union Christian College, Alwaye for Master of Arts (M.A. ), both in English Language and Literature. During his educational period, Dn. Mathai served as the Sunday School Headmaster (Mor Stephen Sunday School, Valakom, (Muvattupuzha) Sunday School District Inspector, (Ernakulam), English Literature Association Secretary (Maharaja’s College, Ernakulam) and Post Graduate Representative (Union Christian College, Alwaye). Fr. 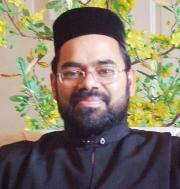 Mathai Varkey Puthukkunnathu was one of the four Archdiocesan Delegates, appointed by the Late Lamented Archbishop Mor Athanasius Yeshue Samuel for an audience with the Patriarch of Antioch and All the East His Holiness Moran Mor Ignatius Zakka I Iwas, in Damascus, Syria, in connection with the formation of the Malankara Archdiocese in North America and the consecration of an Archbishop in 1993. He also served the Malanakara Archdiocese as Sunday School Director, Council Member, Malankara Archdiocesan Constitution Committee member, Executive Committee (both appointed by the Patriarch of Antioch and All the East), Malankara Deepam Chief Editor, Clergy Secretary, Vice President of the Sunday School Association, Archdiocesan Secretary of the Malankara Archdiocese of the Syrian Orthodox Church in North America and now serving as Vicar of St. Ignatius Elias III Syrian Orthodox Church, Lawrenceville, Georgia. Fr. Mathai Varkey Puthukkunnathu and Julie Mathai have two children, Mary(Ashley) and Basil.